By comparing the “Power to Weight Ratio” of various models, one can get a rough idea of how the bikes stack up against each other. To compare our "made in India bikes" by their "Power to Weight" ratios, I have compiled a list posted below. 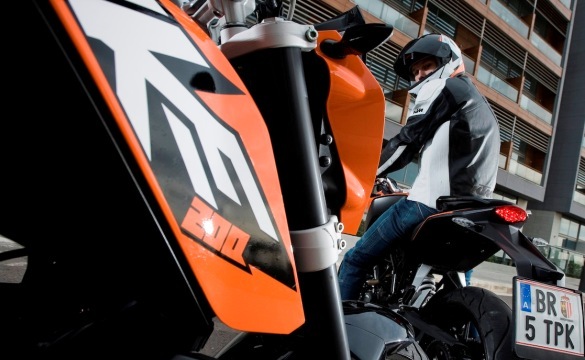 In 2012, the KTM 200 Duke has emerged as the bike with the highest power to weight ratio in India (among the Made in India motorcycles) followed by the yet to be launched Pulsar 200NS. Both the 200 Duke and the Pulsar 200NS beats the Honda CBR250R which had the highest Power to Weight Ratio among made in India bikes in 2011. How Power to Weight Ratio is calculated? In simple words by dividing the “Power” by the “Weight”, we get the “Power to Weight” ratio. To make sure that each of the various models can be compared, one has to make sure that the unit used for “Power” and “Weight” for all the models are same. In the list compiled above the unit for power has been taken in “Ps” and the weight in “Kgs”. Also for all models the “Kerb Weight” (which is the Dry weight of the vehicle + 90% filled up with fuel and engine oil) has been taken into consideration. But since the number obtained in the above calculation is very small (in decimal points), the above formula is multiplied by 1,000. Which is also equivalent to dividing the “Power” by converting the weight in “Tons” instead of “Kgs”. P.S: I have taken care to calculate the max. power in "Ps" and the “Kerb Weight” of each model into consideration in the calculation. Kindly point out if you come across any blooper from my side in the above calculations and also in the max. power / kerb weight figures. 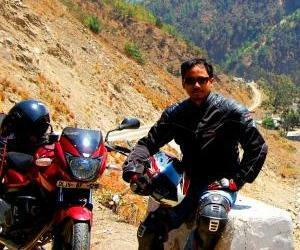 Before even reading this post I like it very much cause I believe this P/W is Very Very important while choosing a performance (Indian Sense) bikes... and this post will help a potential/novice searching for performance bikes :). Slingshot Plus weight ratio given 18.70 which should be 8.70 so change need to made. hey i guess you wrote a similar post last year also..am i correct?? Bueno es muy interesante conocer esta relación peso potencia, y es loable la tarea de investigación del autor , obstante no acabo de entender porque no dividió el peso entre la potencia, es decir porque no dividió los kilos entre los caballos para conocer cuanto soporta cada uno. De la manera en que lo hizo me parece poco útil y representativo del performance de cada moto. Aun asi lo felicito por brindarnos datos tan interesantes y útiles pues son esenciales a la hora de elegir y comprar una moto. Gracias Koley Nilesh. Well done. This is great work. Very important and useful data that you have assembled. A very useful and eyeopener stuff.Kudos to the writer for such secondary level of research and no main stream companies have ever broached this aspect in their best vehicles. Kudos once again dfor this usefil info. it will help most of the bikers who don't even know what is power to weight ratio is. So keep it up dude. I hope we will see u again with some other interesting posts. There was no need to include Bullets in the list as they are not bikes..Someone who will plan to buy a bike shall never even think about a Bullet..and who buys a Bullet shall not even look up in this list..He buys it for the love of it...Still a pretty informative article for boys who want to buy bikes.. Hero Impulse now added to the above list..
Well, the Duke and the Pulsar NS200 should run riot in that case. The only thing is 'fairing'. 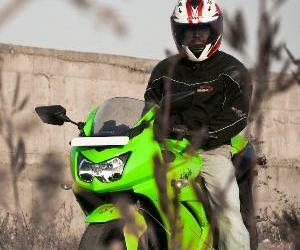 People fond of that kind of styling would still lean towards a R15 or a CBR250. Umm, there's a comment about Bullet just above. I can understand that kind of statement. Bullet offers a very distinct 'sensorial' experience but having ridden and owned one for quite some time, it isn't yet a very reliable piece of machinery (even with the modern engine). Can somebody what is this in layman's term? Here discover is higher than pulsar 150 what is that means? Discover go faster?! Even though Engine CC, P/W ratio and BHP wise R15v2.0 is less than KTM200 or Pulsar200NS...Still R15-V2.0 is Faster than other two bikes in Top Speed!!! @Sharath, thanks for the correction. About the YouTube videos.. don't believe too much of those videos. the R15 can't touch 140 kmph (true speed and not speedo indicated ones) in stock form. I personally squeezed the life out of an R15 but couldn't go more than 135 kmph (that too speedo indicated) on a 1 kmph long stretch.. on that same stretch I could see a speedo indicated 143 kmph on the carbureted Pulsar 220.
from what I know, manufacturers are allowed a 10% error in the Speedo and actual speeds.. virtually all models come with around 10% error. ur perception to "full faired loving desi bikers" is limited an "obsession" for faired and big bikes… that, however is not true… faired bikes essentially look good; but apart from that, the reason behind their inception is what makes them so desirable. they provide an excellent aerodynamics. 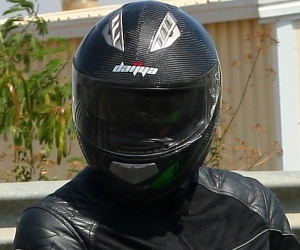 and had you ducked down while doing 135, you would have felt the difference… no more twisting the throttle reqd, just bend yourself into the windsheild and the bike gains atleast 5kmph. u are lucky to find a 1 km (and not 1 kmph, my frn) stretch, i did it on the renowned mumbai highway. ridden rightly, you should be able to attain even higher. @above, the Officially Quoted Kerb Weight of the Impulse is 134 kgs.. 119 Kgs could be its Dry weight. @ unsuspected friends please don't refer any bogus/fag automotive sites for getting Your information If You want know all about the specifications then visit the site of Respective Manufacturers or other reputed/productive sites for correct stats. Hi. Excellent article, very informative indeed. Kindly tell me what is the power/weight ratio for the Bullet Machismo AVL 500. 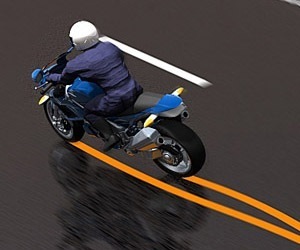 Regarding R15 and P220 clocking 140 kmph+, kindly use a speed gun if you want a reality check. The R15's true top speed is 129 kmph and the P220 manages a max 138 kmph as per readings observed with a speed gun. The Bullet Classic 500 manages a true top speed of 130 kmph. The CBR250R's true top speed is 150 kmph. 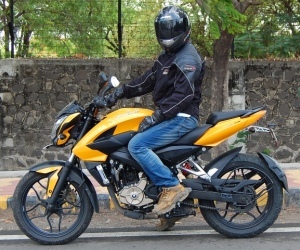 when will d Pulsar 200NS be available in the market???? it is really informative for all bike lovers in country...hats off to you !! well than for any bike under 1 lakh rs pulsars are the king!! proud to be a p180 owner!! i guess rtr 160 & 180 marginally may have fallen behind due to beast series 180 is now 139 kgs & 160 138 kgs.. Eagerly waiting for the 2013 comparo!